The suspect wanted for a burglary at Decker’s Brand Showcase in Goleta on October 10, 2018, is in custody thanks to an anonymous tip and follow up investigation by Sheriff’s deputies. 44-year-old Stacee Ann Walker of Goleta was identified as the suspect captured on surveillance video when she reportedly stole more than $2,000 worth of merchandise from Decker’s and fled in a GM long-bed truck with a logo on the side. The Sheriff’s Office released a photo of the suspect and the vehicle. A community member subsequently recognized the truck and provided a tip on our anonymous tip-line as to its location. On October 18, 2018, Sheriff’s deputies located Walker at her Goleta residence in the 100 block of Aero Camino. They determined Walker was on probation and a search of her residence was conducted. 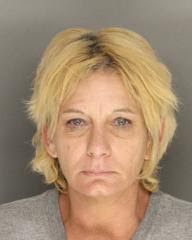 During the search, they located items that had been stolen from Decker’s along with heroin and syringes. Walker was booked at the Santa Barbara County Jail on charges of burglary, possession of a controlled substance and possession of narcotic paraphernalia. She is being held on $20,000 bail. The Sheriff’s Office wants to thank the community member who provided the tip that helped deputies locate and arrest the suspect in this case. We also want to point out the value of having a surveillance system. This case is a great example of how public assistance can play a critical role in solving crimes and holding those accountable who commit crimes in our community. While it is always helpful when a witness comes forward to strengthen a case, anonymous tips are always accepted and appreciated. You can make an anonymous tip by calling 805-681-4171 or by going to our website at https://www.sbsheriff.org/home/anonymous-tip/. At approximately 12:45 p.m. [Wednesday], October 10, 2018, Sheriff’s deputies responded to the 6600 block of Hollister Avenue in the City of Goleta to a report of a burglary that had just occurred. A woman walked into the Deckers Brand Showcase and appeared to be shopping. She gathered more than $2,200 of merchandise, including an UGG coat, several pairs of women’s designer boots and men’s designer shoes. After approximately six minutes, she ran out of the store and into the back parking lot. She was last seen fleeing the area in a light blue, GM, long-bed truck with a logo on the side. Sheriff’s deputies searched the area but were not able to locate the vehicle. 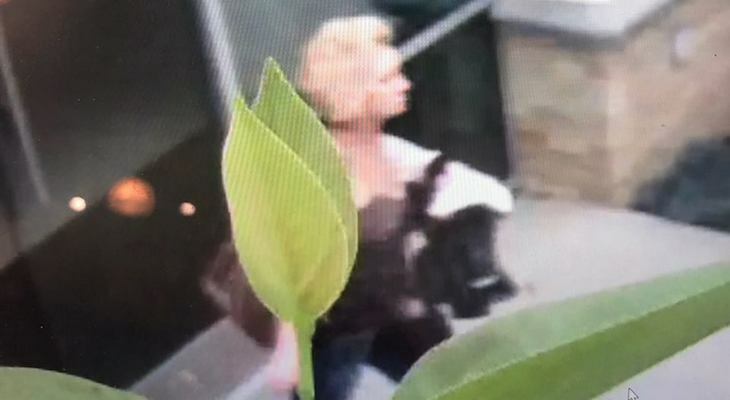 The suspect is described as a Caucasian female, in her fifties, with short blonde hair wearing jeans. She is approximately 5’6” tall and about 130 pounds. If you have any information that would assist investigators, you are asked to contact the Santa Barbara County Sheriff’s Office at 805-683-2724. To leave an anonymous tip, please call 805-681-4171 or go to our website at https://www.sbsheriff.org/home/anonymous-tip/. She's part of the opioid epidemic. Now she gets to do opioid withdrawal: "Physical and mental symptoms that occur after stopping or reducing intake of opioids, a substance found in certain prescription pain medications and illegal drugs like heroin." Drug addition is just the grim reaper in slow motion. A very sad situation in the end. Ugh (haha) a life of desperation. Hope there is help and she finds it. Honestly I wanted to make a snide comment but the more I learn about what addiction does to people.....a slow humiliating death. Thousands of dollars worth of merchandise 2,000 grand? 2 grand is more than 1 and therefore deserves the plural. For someone who makes regular writing errors it's ironic you'd come out as the prose police. Hopefully she can get the help she needs and is willing to accept it. It would be overwhelmingly cool if Deckers Co. reached out to help her with her apparent drug problem. A Mazda truck?!?! That’s a Chevrolet!!! according to Google image search the best match for the truck is a 1996 Mazda B-Series long bed. Sea Dog it’s not illegal, it’s that insurance companies will not cover injuries, if any. Thus would be against company policies. Doing her/his Christmas shop-lifting early? Looks like Kurt Hummel from Glee, wearing a wig. She looks like Julia Garner's character in Ozarks. Thief. I bet her family is proud.